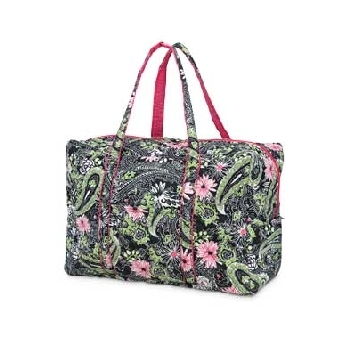 This tote is perfect for those quick trips to the market or to take essentials to one of the kid's games! Folds flat to keep handy in the car, if you like. 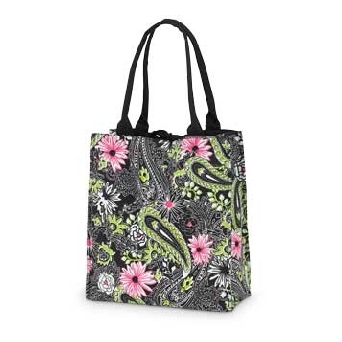 The gorgeous Black-eyed Paisley design features gray, lime green & hot pink on a black background & is lined in hot pink. It measures a roomy 15"H x 14"W x 6.5"L & has a ribbon tie across the top to help keep things secure.